OTP Mia Clothing > Blog > About > Who is OTP? Born and raised in Miami, Florida, USA, upcoming Hip-Hop producer, writer, performer and On Top Paid Productions, LLC CEO BNice (Brandon Lee) is on a mission to bring hip-hop music back to its golden age and turn fans on to artists who truly represent their own reality and life experiences instead of the clever marketing gimmicks offered by most of today’s mega-rap stars. BNice’s first contact with Hip-Hop began during what is often referred to as Hip-Hop’s golden age and he names his two older brothers as his biggest influence for introducing him to artists like Tupac, A-Tribe-Called-Quest, Camp-Lo, Biggie Smalls, Big L and other Rap legends of the 90’s Hip-Hop era. His dream is to grow his production company into an international entertainment powerhouse that honors the art of Hip-Hop culture while still having major market appeal for the masses. BNice attributes his work ethic to his Bahamian upbringing by an entrepreneurial father who used is culinary skills to raise a family along with a mother who followed her passion as a practical nurse who transplanted from New York City to Miami at the time of his birth. 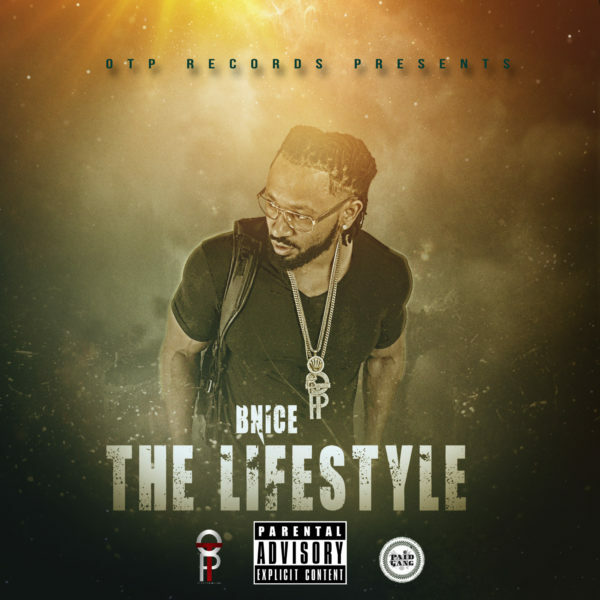 BNice first made the news in the Rap music blogosphere when he was featured in rapper, 50 Cent’s popular Thisis50.com website in 2014 after a video of an alleged altercation involving Miami Hip-Hop performer Nino Brown of DJ Khaled’s We_the_Best_Music_Groupstarted to make its appearance on a number of local Miami websites. This video is rumored to be the reason why DJ Khaled dropped Nino Brown from his We The Best Music Group Imprint. The details and atmosphere surrounding that incident lead to BNice cutting off most of his ties with Nino Brown and many of the well-known Hip-Hop industry performers and producers who were based in Miami, Florida at the time. Before working with Nino Brown and another We The Best Music Group Artist, known as Ace Hood, BNice formed his own production and publishing company, On Top Paid Productions/ OTPMIA Music , On Top Paid Publishing (ASCAP, BMI, SESAC) with a mission to produce music based on the real life experiences of its creators and not fictional stories of street bravado. According to a video interview published on AllHipHop.com in 2015 BNice is building his production roster of music creators who share his mission. His published music catalog includes collaboration from artists such as Def Jam Recording / Maybach Music Group artist Gunplay, Atlanta producer and Billboard Magazine Hip-Hop Chart regular Zaytoven and a growing team of writers and performers. Detroit, MI. USA producer, Heluva Beats (https://www.instagram.com/p/BbKlkYDnAfA/) has made solid charting hits for Yo Gotti, Tee Grizzly, Kodak Black and has several new projects with Miami, FL. USA new-comer BNice of OTP Records, LLC and Doughboyz Cashout member Payroll Giovanni.